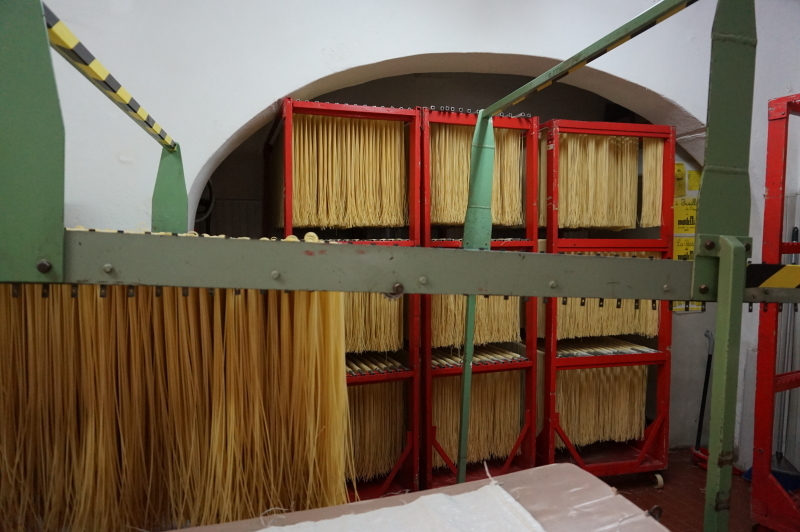 Pasta in Italy | Hello Cool World! No, here. Down the alley. Really. 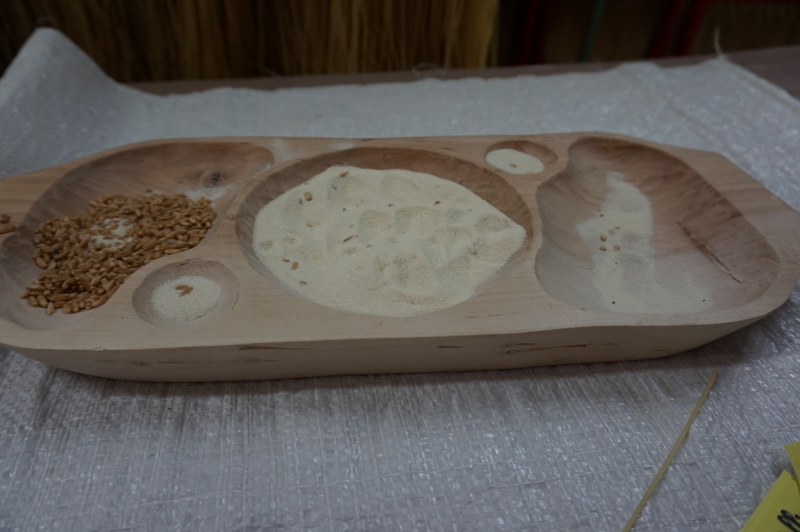 First they grind italian durum wheat and it turns into semolina flour which is mixed with water to make a dough. 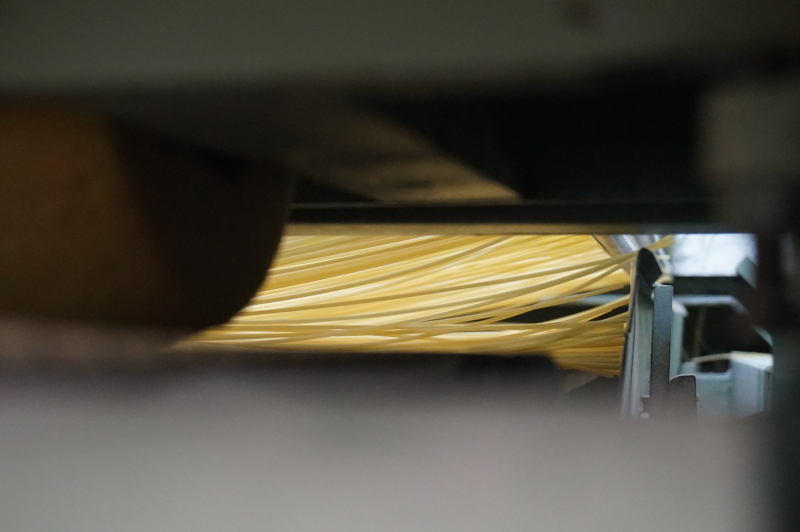 Then it is taken to a new room and shaped into types of pasta by a big machine. Then it is taken back into the first room and dried for about 50 hours. When you cut it, it goes in a loud machine and is, well… cut. 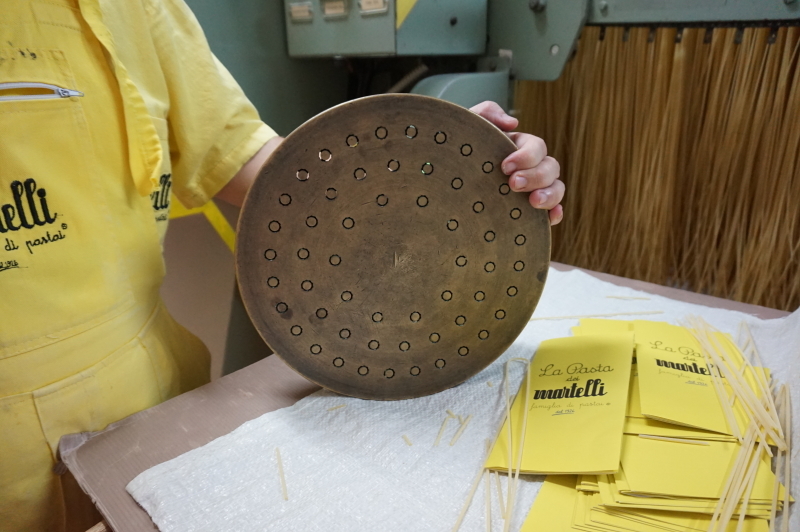 They squeeze the paste through a brass plate with holes. They hang it to dry. 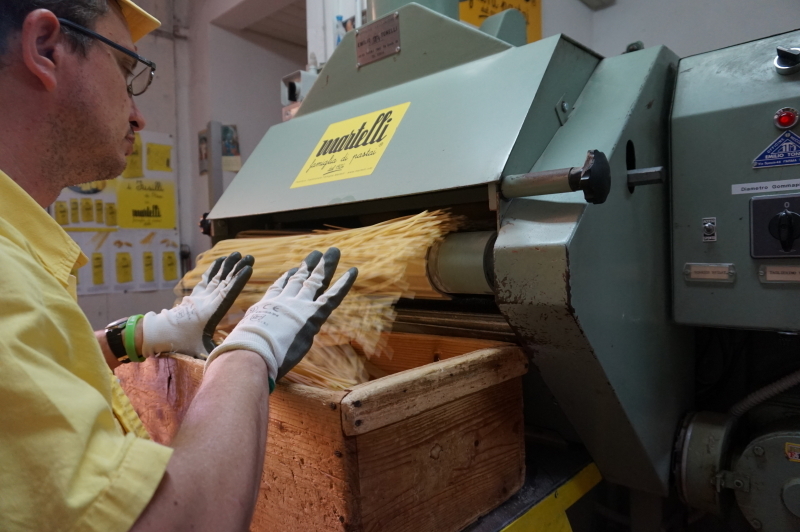 After 50 hours of drying, the pasta is ready to be cut in another machine. This is Luca, one of the family who owns the factory, and who gave us the tour. 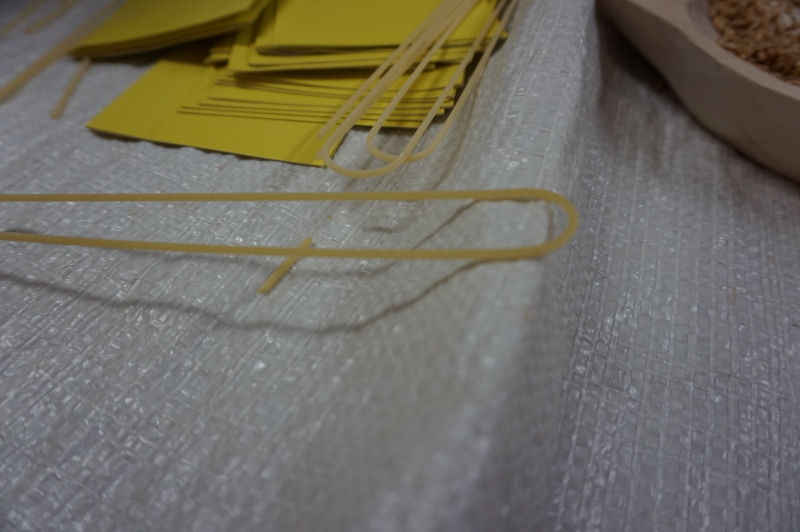 This is how you can tell if its real pasta. Its bent. 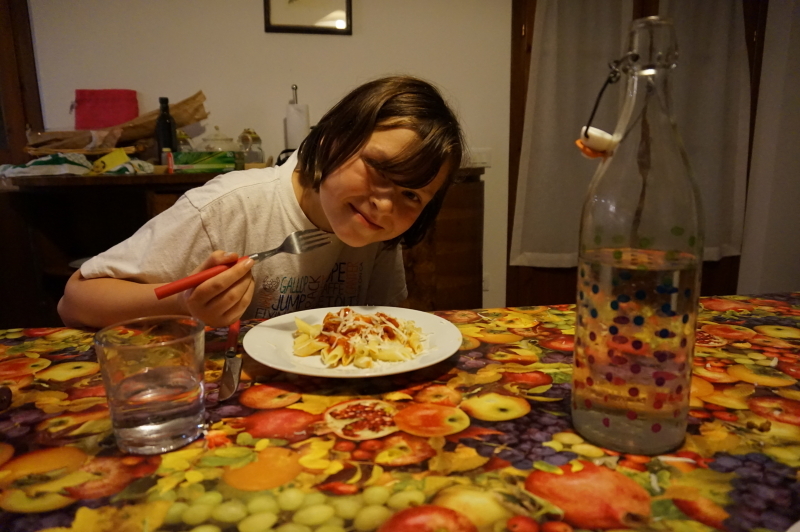 For dinner we also had Martelli pasta. So I decided to write the recipe from the bag. (this is exactly what the recipe says). In saucepan or stockpot, Laura brings water to a rolling boil (at least 6 liters per 500 grams of pasta) and adds sea salt. She then adds the pasta to the boiling water, using a wooden spoon and covers the pot with a lid until the water begins to boil again. She removes the lid and cooks the pasta for about 8 minutes, stirring occasionally to obtain an “al dente “consistency. She then drains the pasta and tosses. When Laura drains her pasta, she keeps a little water in with the pasta. She then adds her sauce to the pasta and serves. Merci pour toutes vos bonnes nouvelles variées ! Continuez comme ça ! 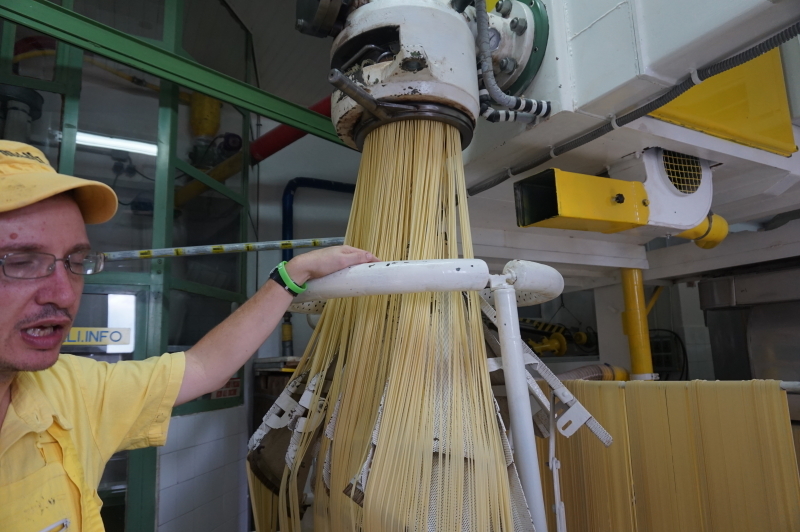 Très intéressante la fabrication des spaghettis en Italie….attendez celle des chinois ,c est surprenant ! …Amitiés à tous les quatre .Paul et Perrine. I am really enjoying all the postings. It’s like a little morning trip to Europe. If you go to Tuscany, you mus eat some cinghiale with your pasta. We actually have been staying at a farmhouse in Tuscany for a little down time. 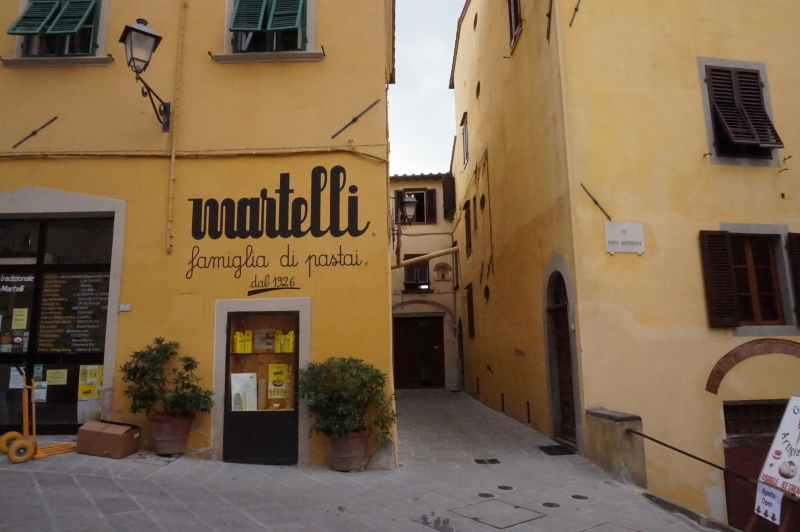 Spent yesterday poking around San Gimignano – it was great. 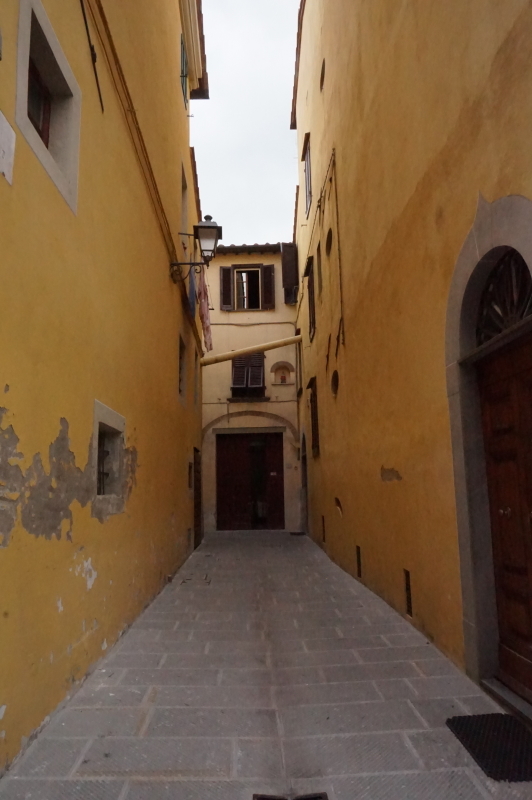 I had heard about the no-car zones in Pisa and so was panicking when I was driving through there. Just checked the map and I think I am OK. Greetings to all! Thanks for the recipe Eva. I can’t wait to try it. 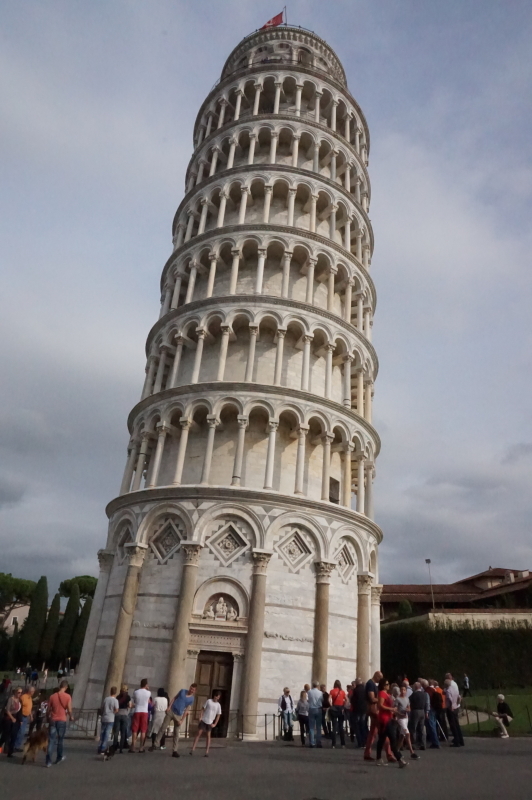 Did you get dizzy looking at the Leaning Tower? Good thing to know Eva. Maybe we can make pasta when you get home..G’ma. Looks like when you come back, you’ll be a mini chef!! !